REDONDO BEACH, Calif. â Dec. 8, 2014 â The steady production of the fourth Advanced Extremely High Frequency (AEHF) protected military communications satellite continues on track with Northrop Grumman Corporation's (NYSE:NOC) delivery of the fourth payload to AEHF prime contractor Lockheed Martin 4 1/2 months early. The payload's phased array, nulling and advanced v-band crosslink antennas were integrated and tested with the payload module that Northrop Grumman shipped earlier this year. The module contains the processing, routing and control hardware and software that perform the satellite's communications function. Launch of the U.S. Air Force's fourth AEHF satellite currently is scheduled for 2017. 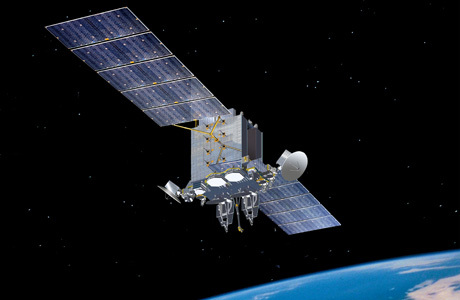 The industry AEHF team is using a new hybrid satellite integration and test approach that allows Lockheed Martin to begin satellite bus unit integration while a team from Northrop Grumman simultaneously completes the payload integration. This method was jointly developed with Lockheed Martin and the Air Force Space and Missile Systems Center. "This hybrid approach is providing an overall reduction in program cost and schedule," said Stuart Linsky, vice president, Communication Programs, Northrop Grumman Aerospace Systems. "We fully expect to see these savings on flights 5 and 6 as well." "We expected the hybrid approach to give our team more flexibility and efficiency, and it has exceeded our expectations," said Mark Calassa, vice president, Protected Communication Systems, Lockheed Martin Space Systems. Northrop Grumman also delivered payload modules for the first, second and third Advanced EHF satellites ahead of schedule in 2007, 2008 and 2009 respectively. One Advanced EHF satellite provides greater total capacity than the entire 5-satellite legacy Milstar constellation with individual user data rates up to five times greater than seen on the Milstar system. The higher data rates will permit two-way, jam-resistant transmission of tactical military communication such as real-time video, battlefield maps and targeting data. In addition to its critical tactical mission, Advanced EHF also will provide the survivable, protected and endurable communications to National Command Authority including presidential conferencing in all levels of conflict.